As the skiing season gets under way, I thought it might be worthwhile to write this blog to offer some advice to our patients. Generally speaking, both skiing and snow boarding have been shown to be high injury risk activities. However, recent research has shown a decline in the prevalence of injuries in both winter sports. 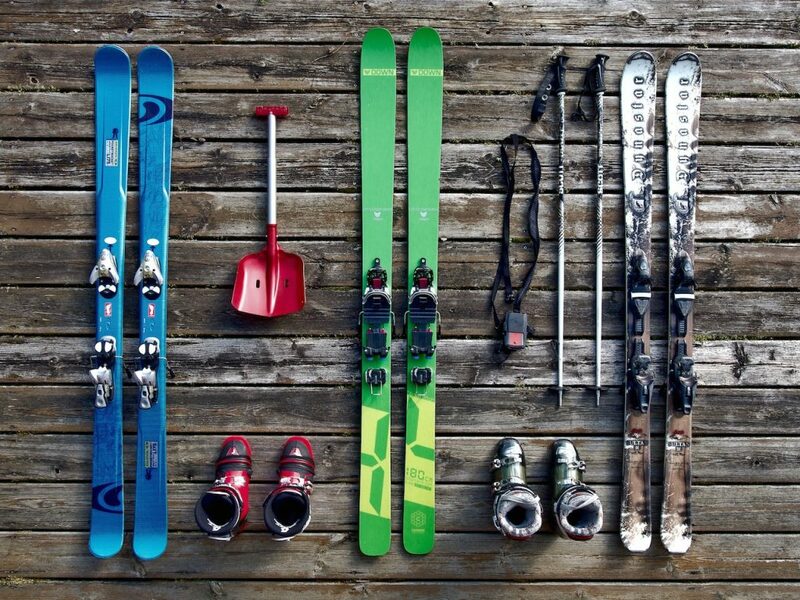 The statistics are shown to have reduced from 5 – 8 injuries per 1000 skiers to 2 – 3 per 1000. Last year, I published a paper on the lifetime prevalence of back and hip pain in young elite skiers and was able to show that there was no difference for the lifetime prevalence of back or hip pain in the young elite skiers compared with non-athletes. Other studies have highlighted that knee injuries have been shown to be the most common injuries in skiing whilst; wrist injuries have been shown to have a higher prevalence in snowboarders. With regards to prevention of injury, environmental risk factors unfortunately may be outside our general control. Poor visibility and snow or icy conditions may seriously increase the risk of injury. There are however many risk factors that we can control such wearing protective clothing including wrist protectors, helmets and using suitable skis and bindings. Intrinsic risk factors that may influence skiing and snow boarding injuries, are much more modifiable. For example an individuals ability to move properly through a squat or lunge pattern is important to allow one to transfer their weight evenly through the trunk and lower limbs. Individuals sometimes struggle to control these movements due to muscle imbalance, weakness or specific knee, hip and spinal problems. Of course, trying to improve ones physical condition with poor movement control may only lead to further enhancing the risk of injury before you actually reach the slopes. Having a review of your spine alignment and leg strength with one of our practitioners is a good idea prior to commencing any exercise programme. However, once the all clear has been given by one of our practitioners, specific skiing type exercises such as squats and lunges including balance and co-ordination exercises such as balance or Boso boards may only help to enhance your holiday experience. The quadriceps (thigh) muscles and the gluteals (buttock) muscles act like brakes when performing downhill skiing, therefore, it makes sense to do exercises to improve strength that challenges these tissues. Examples might be a deep squat or split lunge. Often individuals complain about anterior knee pain (patella femoral knee pain), which is due to an overload of the knee joint. Correcting knee alignment such as ensuring the knee travels over the second toe and sitting back through the hip joints when performing a deep squat and when skiing may help reduce this. Of course, a day skiing on the mountain, not only challenges ones muscular strength and endurance but also ones cardiovascular system. Therefore, performing cardiovascular exercises through the use of a Cross trainer or bike may help to build a level of robustness that may only enhance your holiday. Here at The Carl Todd Clinic, our osteopaths and physiotherapists are highly skilled in the delivery of examination, injury prevention and movement-based exercises. If you require any further advice or would like to seek a consultation with one of our practitioners then please feel free to contact the clinic directly. Finally we at The Carl Todd Clinic would like to wish you all a Happy Ski Season.